Hit 20 sales, made 5 purchases. It seemed like every other sale we went to had videogames. Tons of stories today. 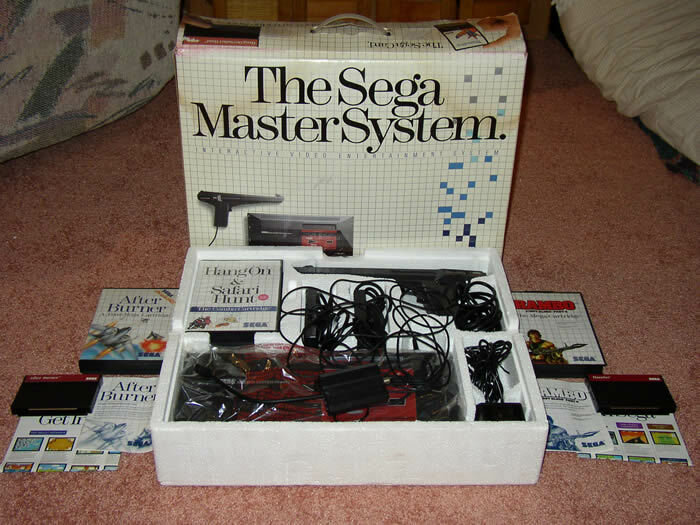 No real story on the Master System. I completely missed it on the first pass, but it was pointed out after I asked. CIF'd $2, settled on $3. Everything in surprisingly good shape. 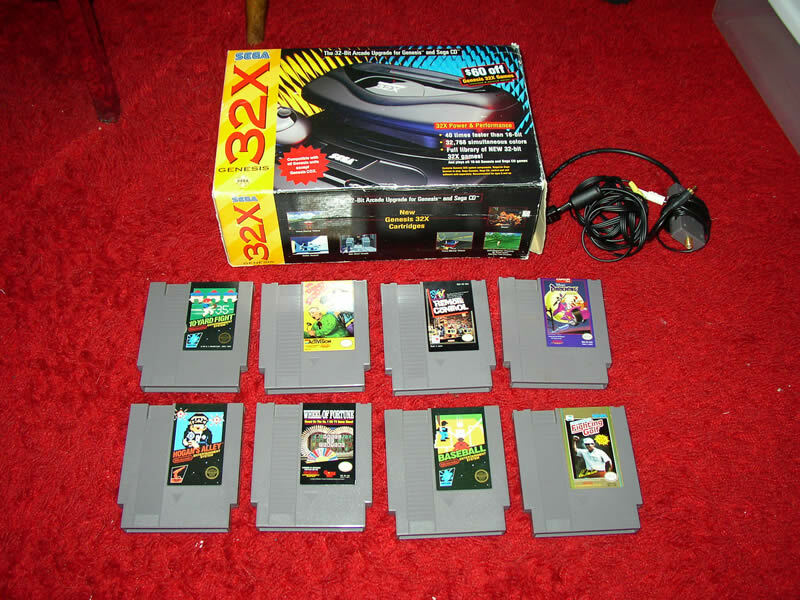 Got the 32X/3DO stuff from a sale advertising "anime, manga, and videogames". Everything was actually pretty fairly priced too. For everything we got, he was originally asking $20, and we talked him down to $8. Youngish kid, used to be the manager of a Gamestop, pretty nice. 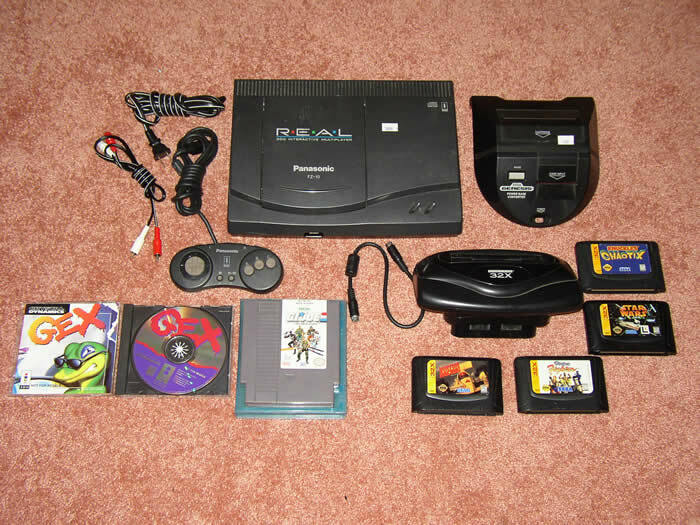 We left behind a Gamegear marked $2, a SNES marked $4, and some videogame soundtracks marked a buck each. The reason we left stuff behind? We ran out of money. 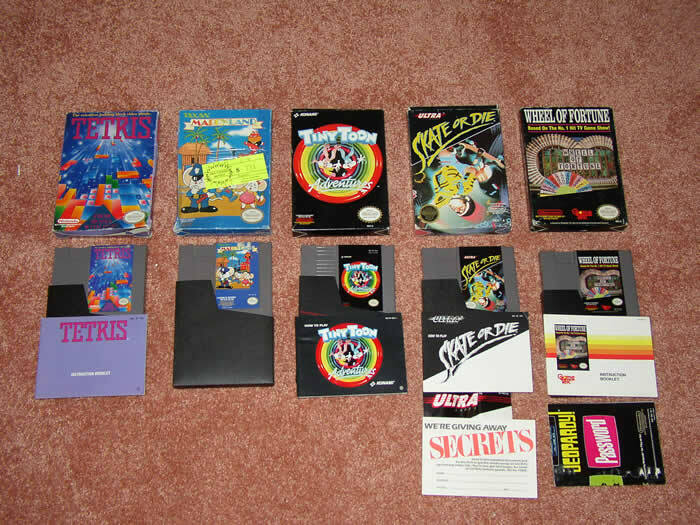 The sale that we got the $3 NES game bundle was being held by a guy who was polishing his handgun. Talk about an effective haggling deterent! We asked about games and his son brought us inside. 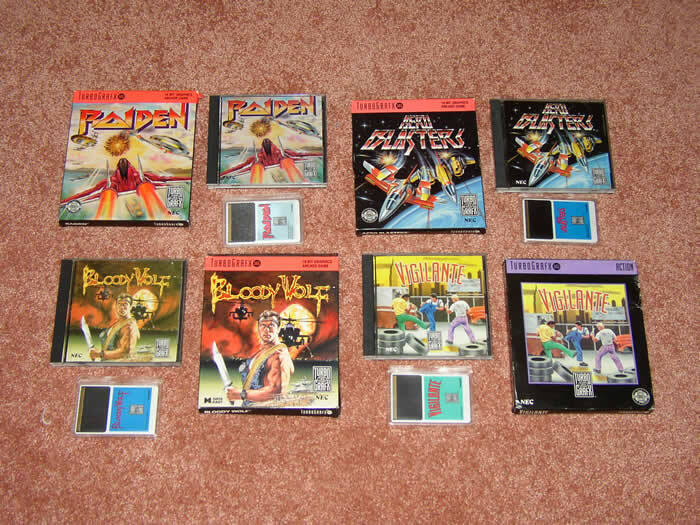 He had TOTES UPON TOTES of games, NES SNES GEN Atari, tons and tons of games. 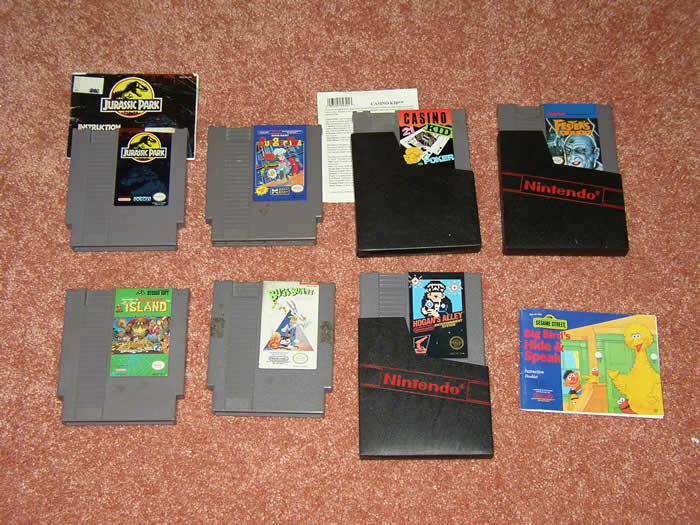 I pick out the NES, SNES, and GEN totes and offer him $10 (all I had left at this point) for them. He declines, and also says that he can't sell all of them because some belong to his sister. 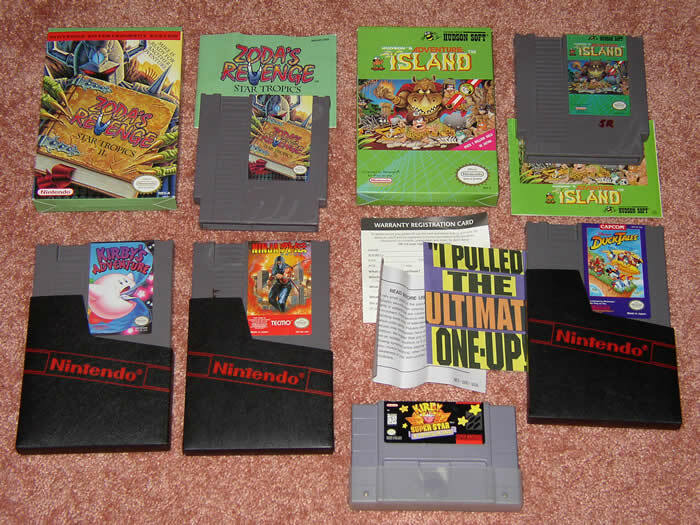 So I pick out everything that I eventually buy, plus Bubble Bobble and Yo Noid! He takes out the last two (his sister's), and takes my $3 offer for the rest. As the weeks go on, we seem to cherrypick more and more. The first sale we went to today advertised videogames, and when we got there we found a stack of PS2 games marked $10 each, and a bunch of N64 games marked $5 each. We decided to come back later in the day and try for 50 cents a pop. Luckily the sale was a few streets away from where I live, so we just stopped back there again before heading home. She had already gotten a good look at me earlier this morning, so I waited on the corner, out of sight, while Liz drove up and offered. Of course, she flatly refused, telling her that "These retail for $50!" And surprsingly enough, most of the games were gone when she went back. I guess that stuff sells even at Gamestop prices. I always wanted to do the "wait at the corner", it was kind of funny. We called it a day at 11, about 1.5 hours earlier than usual. The yardsale game is a strange one, our last few weeks have been pretty barren, and then an explosion of stuff today. It just goes to show that you can't take one weekend and assume that every weekend will be like it. It's always a completely different experience, and you just have to stick to it even during the dry weeks. I was talking to one of my coworkers on Monday, and we got onto the topic of yardsaling and eventually videogames. He has two kids just finishing up high school, and he was saying how he has tons of NES, SNES, GEN, and other misc. games just sitting in the attic, and coincidentally he was just starting to eBay random ones (for example, he eBay'd Breath of Fire + manual and was shocked it went for about $25). Luckily we have it complete, else I would've been super-bummed. But anyway, he went on to say how he collects sports cards, and both Dom and I just so happen to have old cards from the late 80's/early 90's, so it all ended up that we have this sort of ongoing trade happening. I kept it very open-ended, as I understand he wants to eBay some stuff, and just said "Anything you want to get rid of, bring it in." He's a wicked nice guy and is glad to give some of this stuff a new home. 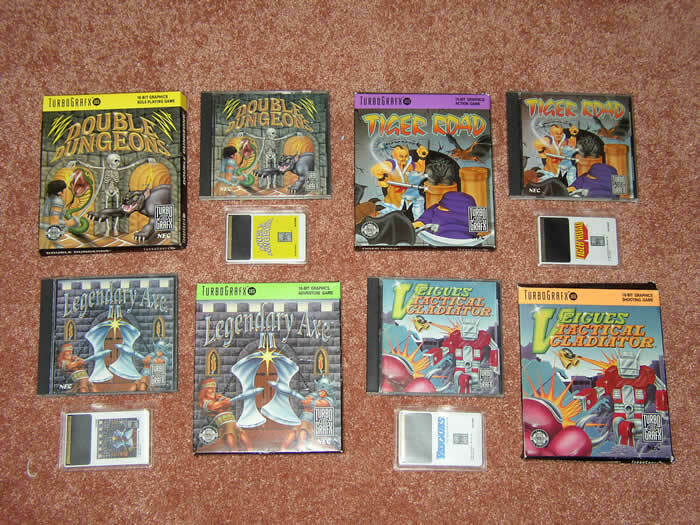 Nothing rare or anything, but out of the 8 games he gave me, we only had Hogan's Alley and Wheel of Fortune, so it was good to expand the catalog a bit. Plus Darkwing Duck was a personal "hope-to-find" game for me. 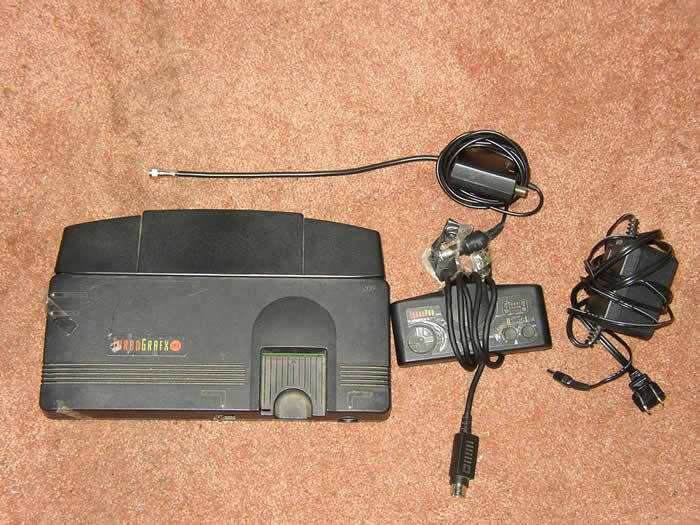 He brought it all in to the office in a 32X box (didn't know where the system was), so that was a nice plus, especially after finding one this weekend. He has more stuff that I guess will be trickling in as we trade with each other. I have no clue what he'll be bringing in as the days go on. I'll keep you guys updated as more transactions occur!